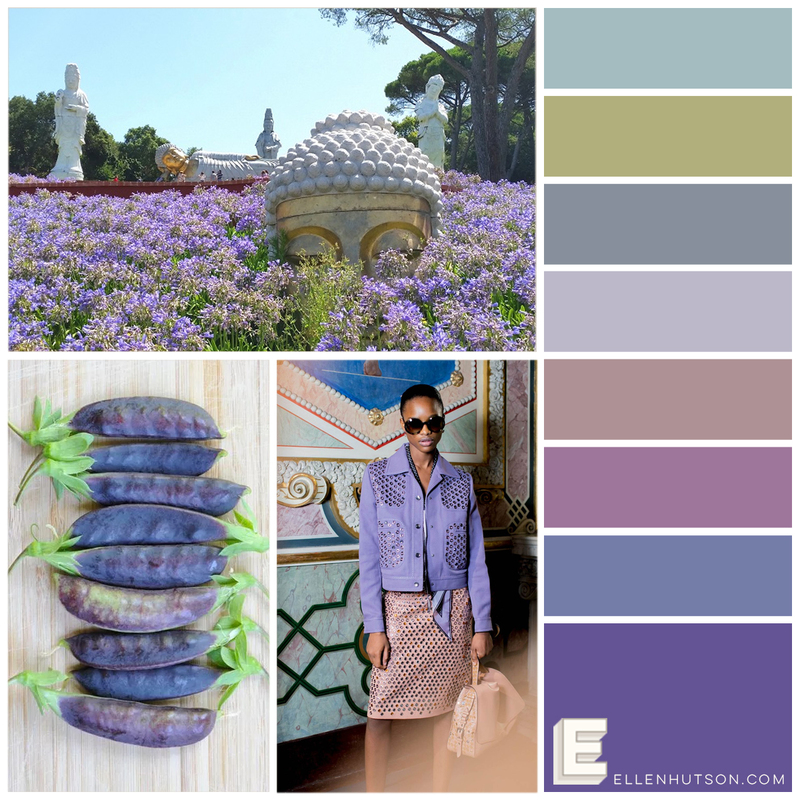 UltraViolet is Pantone's colour of the year for 2018 and this dreamy palette of heathery purples, greys and greens is just gorgeous! I mostly focused on the vegetables (are they peas? beans? I have never seen them in this colour!) - their horizontal, wavy lines and colours, plus the gold of the god's head in the field of flowers. I quickly identified the distress inks I wanted to use and blended a 4.25 x 5 panel of Bristol Smooth cardstock, fading out to white at the top (so easy to blend on this smooth paper!). I was a bit nervous about the green to purple blend, so I tried to minimize the amount of space. In the end, I think it turned out great! I misted the panel with a Nuvo spritzer - the finer drops of water added just the right amount of texture to the colours, without taking too much of it away. Amazing way to stretch that die, Ardyth! a beautiful card! I thought the card was embossed. Taking the pieces and putting them together was a brilliant idea and the colors blend beautifully, Ardyth.